October happens to be Breast Cancer Awareness Month. Unfortunately, breast cancer is still very common amongst women; one in eight women will suffer from Breast Cancer and these brands are helping fight and find a cure to this disease. We online shop all the time. So why not give back by buying things we need/want! Remember that no donation is small! So thank you to all these brand who have so generously created products and are donating proceeds to help advance the cure and spread awareness for Breast Cancer. Disclaimer: There is less buyers’ remorse when you know a percentage of each dollar is going to such an amazing cause! These sneakers are so light weight and comfortable! I love them for running errands or working out! I ordered myself a pair without hesitation. 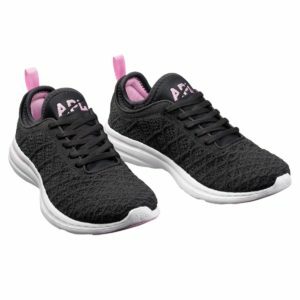 Athletic Propulsion Labs will donate 20 percent of the gross sales price for each pair of the APL Men’s and Women’s Techloom Phantom to the Women’s Cancer Research Fund, A Breast Cancer Research Foundation Program (BCRF). Ok so this is a brand I recently discovered and have been obsessed with! Their leggings are so slimming and their shirts are softer than soft, no joke! Their quality is amazing at a reasonable price! So when I saw they were celebrating breast cancer awareness month, I couldn’t possibly love and rave about them more! Aerie is donating 100% of the proceeds from the Bright Pink Play High Neck Sports Bra and Bright Pink Move High Waisted 7/8 Legging to Bright Pink from 9/27 – 10/31. Customers of select Aerie stores can design bracelets that will be donated to hospitals for women in treatment and recovery. Every year Bobbi Brown never fails to release a beautiful pink product in support of breast cancer awareness. This year they released two flattering colours – Sandwash Pink and Pink – with a semi-matte finish that you can get lots of wear out of. 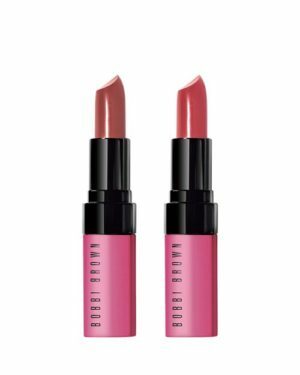 For every PINKS WITH PURPOSE LIP COLOR DUO duo purchased, Bobbi Brown will donate $17 to the Breast Cancer Research Foundation. GHD will donate $5 from every purchase of this styler Memorial Sloan Kettering Cancer Center. Staying hydrated is something EVERYONE should do! I’ve noticed that when I carry a water bottle I’m not only helping the environment, but also drinking way more water. Keep your drinks cold or hot and support the cause with any of the select S’well bottles. S’well is donating 20 percent of the retail price of Bikini Pink, Pink Topaz, and Geode Rose bottles to the Breast Cancer Research Foundation.